1. Set up a Review Admin- Who needs to be able to have access to see all reviews? And who will be the primary person in charge of setting up cycles and questions? For some teams this will be the CEO and for other teams, this might be the HR person and CEO. Keep in mind this role will also be required to already be an administrator in 15Five. 2. Ask reflective and forward thinking questions- Research shows that asking growth and development focused questions improves performance and aligns the team member with company objectives. 3. Company values assessment- If your company adheres to company values you will need to customize this setting when creating your Question template. Adding values to your review process allows your team members to focus in on the primary objectives of the company and the culture they wish to maintain. 4. Setup your deadlines for review submissions- By default we suggest that the self-review be performed first, then the manager review. This allows the manager time to review the self-review submissions and focus in on their own responses before sharing the results with the team member. While the deadlines are soft and allow for submissions up until the cycle is locked by a review admin, the dates can also be edited after the cycle has already begun. 5. Share results- When a manager shares results with their team member this allows both parties to see each other's responses and setup a meeting to go over them and compare the responses. 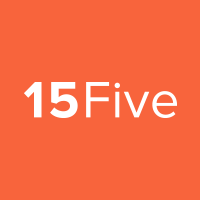 15Five suggests meeting with your team before sharing the results of the review cycle. Managers should deliver feedback first in person, to avoid the text being misinterpreted before the final meeting is held. We do not suggest this be a time for a compensation review however this prepares you for a separate conversation for compensation advancement. For a deeper understanding of how and why Best-Self Review works, see our science pages! Need some inspiration for great engagement and metric questions?